The California pepper tree (Schinus molle) is a shade tree with pretty, somewhat pendulous branches and an attractive, exfoliating trunk. Its feathery foliage and bright pink berries make this a fine ornamental for water-sparing gardens in U.S. Department of Agriculture plant hardiness zones 8 through 11. If you want to know how to grow a California pepper tree, read on. What is a California Pepper Tree? If you don’t live in southern California where these trees have naturalized, you may ask: “What is a California pepper tree?” For those looking for a fast-growing evergreen shade tree for a Mediterranean style garden, the California pepper tree might be the perfect choice. 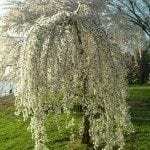 It shoots up rapidly to it mature height, usually about 40 feet, and often grows branches as wide as wide as the tree is tall. California pepper trees look lacy because of the compound, pinnate leaves, each one composed of fine-textured leaflets. The leaves are aromatic, up to 12 inches long, while each leaflet grows to about 2 ½ inches. Greenish-white flowers appear at the ends of the branches in spring, evolving by autumn into rosy berries that look like salmon eggs. When these evergreens are young, their trunks are gray. As the trees mature, their bark peels back revealing the red inner wood. If you want to start growing California pepper trees, first be sure you have enough room in your backyard for the tree to spread to its full mature size. You’ll need a spot in direct sun with well-drained soil. California pepper tree care is increased significantly if you choose a planting site with poorly draining soil, since root rot pathogens are likely to attack the tree. Give your newly planted pepper trees regular irrigation until they establish extensive root systems. After that, the trees only require occasional irrigation and California pepper tree care is reduced. 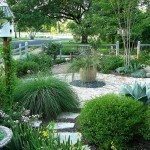 This makes them ideal trees for xeriscaping. In fact, overwatering this tree can lead to chlorosis as well as the production of weak branches. Apply a general purpose fertilizer in springtime just before new growth appears. This assists the tree to grow rapidly. A California pepper tree is easy to grow if you buy a container tree with a sturdy trunk. 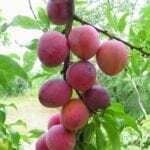 You can also grow this tree from seed, but it isn’t an easy process. 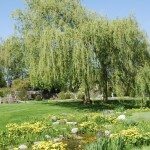 Pruning a California pepper tree is necessary if you want a healthy, attractive tree. The weeping habit makes the tree’s canopy seem low to the ground. Prune it every winter to keep the canopy higher. You’ll also need to keep an eye out for suckers that sprout from the tree base. These should be pruned out whenever they appear. Read more articles about Pepper Tree.